The old Kellogg's Diner was a local landmark for one reason: it was the only place on this side of the river where you could find a diner that was open 24/7 no matter what. The flip side of this was everything else — the food was terrible, the service was non-existent, they had health code violations and even the shabby non-chic decor was hard on the eyes. That said beggars can't be choosers and it was what it was. So on Friday my friend informed me that she visited the re-opened spot and her first reaction was that the interior design looked like a bad 80s diner complete with sad looking lobsters on display to greet you in the front. So starving on a Sunday night I decided to check out my old haunt, and things had changed a bit — but maybe not for the worst. The first nice thing that I noticed was that they were serving appetizers! Not only that but the quality wasn't that bad — they started off with fresh bread that was slightly toasted. 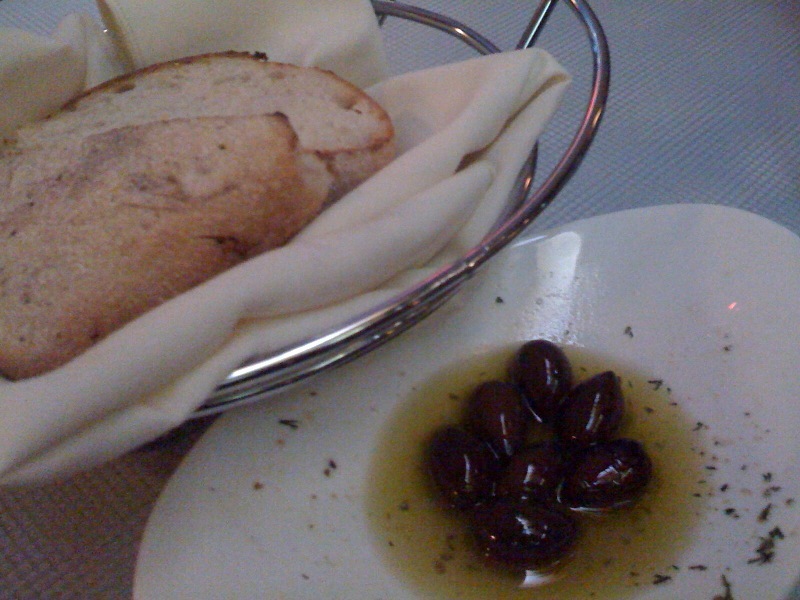 But then they went the extra mile and included olives in olive oil which were great. Were they the best I've ever had? No! 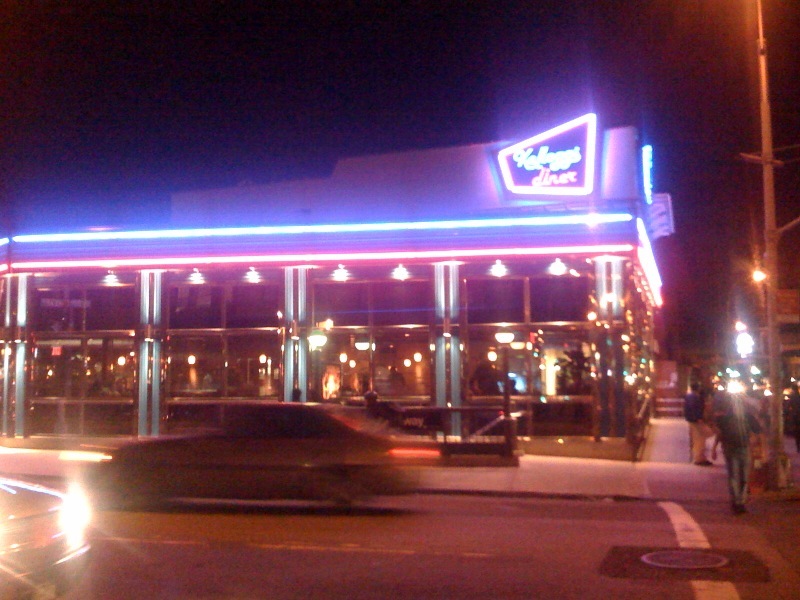 Were they great for a diner? Yes! Having gone for dinner I was given a "dinner menu" which upset me a first because it was quite limited in scope and scale. However I was informed by the manger that the menu was going to be expanded and the scaled back version was for this soft opening of the diner. I was also told that while for this week (and maybe next) they'd be down for two hours a night that they would be back up and running in 24/7 mode shortly. I was also given a look at the full menu which did have all the breakfast food that you'd expect. This next brings me to the service: They were still getting their act together, but frankly it was another universe from the previous incarnation of the diner. 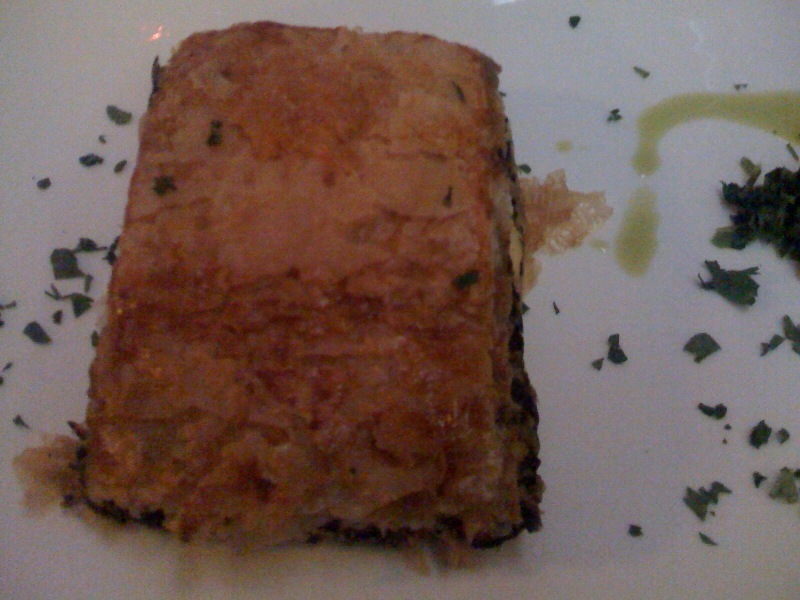 Being a vegetarian the entree that I would up ordering was the spinach pie. The presentation was great, in fact I wouldn't think of it as diner food in this context. The pie was perfect — in fact it was one of the better ones that I've had in a while. My only letdown was that it came solo, at the very least I'd sort of expect some sort of optional side dish liked a baked potato or salad. The price was around $13 which is slightly above average — but I was still left feeling a bit hungry after which isn't a good sign. On the other hand I was looking at some of the other dishes being served like the burgers and the plates seemed a bit more full. For a drink I order an ice tea without sugar, but then I was told that they didn't have that which is more than fair given that they are getting started up. Thinking quickly I ordered a large orange juice, which tasted great but cost about $4. So my total damage was about $20 which was a bit higher than what I'd expect for something that left me hungry which doesn't happen at most diners. But small flaws aside I have to say that I'm very happy with what I found there. In the old Kellogg's you'd always had that dread of getting the wrong thing or waiting for hours to get the wrong thing that didn't taste so good. So to me this is a vast improvement and I'll defiantly be returning on late night. This page contains a single entry from the blog posted on October 26, 2008 8:06 PM. The previous post in this blog was Diana Reyna Opposes Term Limits. The next post in this blog is The Williamsburg Nerd Endorses Barack Obama (of course! ).